Volume I of the Who Murdered? book series digs into the death of Elvis Presley. 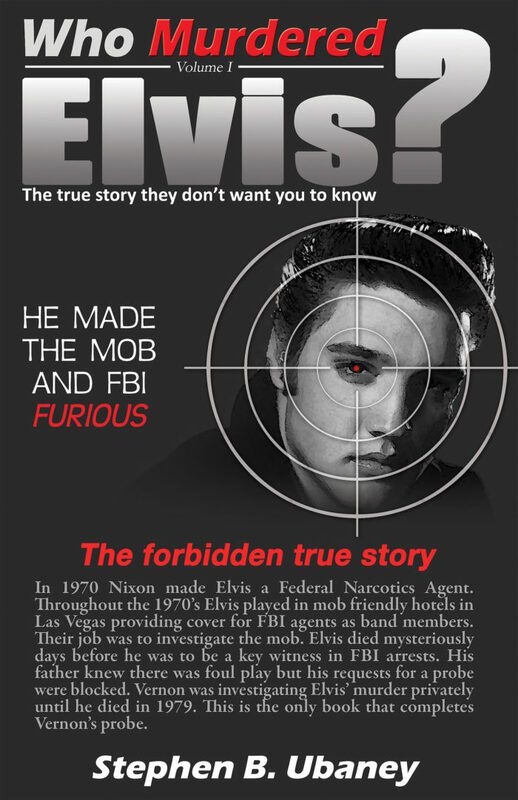 After an exhaustive five year investigation into the facts of the case Mr. Ubaney determined that Elvis’ death was not natural. 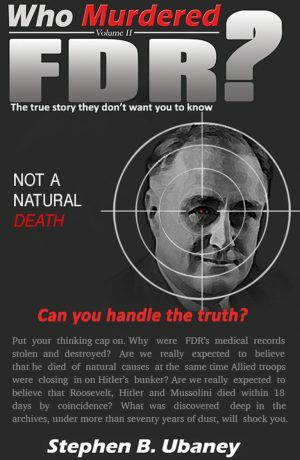 With a flair for organization and methodical thought his book dissects the decades of lies and uses newly uncovered information to show how the murder could have happened and how the murderer might have escaped. The book screens the possible suspects through the necessary steps of motive, means and opportunity revealing the one person who was responsible for his murder. This in depth and highly controversial book has taken on conventional wisdom and has struck a blow for truth and justice everywhere. 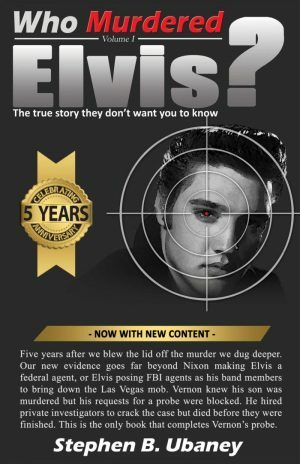 Revered by most fans (and hated by some others for speaking the truth) this book has dared to spit in the eye of Graceland and its multi-million dollar enterprise. In doing so the book has been banned from bookstores in Memphis as what it reveals is just too dangerous. In the end it will be up to you to determine if this forbidden knowledge is a conspiracy book written by a conspiracy author or a reality book written by a reality author.